ContERN connects scholars working on esotericism in the contemporary world. 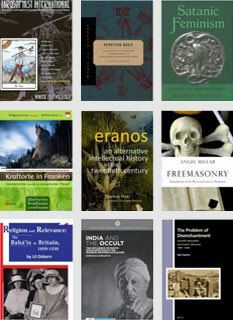 Our primary goals are to promote scholarship on contemporary esotericism in ways that are congruent with the broader field of Western esotericism; encourage the integration of social scientific theoretical and methodological approaches and perspectives while maintaining a strong emphasis on historical awareness; and actively encourage the development of new theory and method in the field. ContERN works to create possibilities for networking and forums for scholarly discussion through the organisation of conferences, conference panels, and scholarly publications, but also by maintaining an online presence. Promoting interdisciplinary cooperation is also central to ContERNs goals, and the network seeks to interact with, e.g., sociology, anthropology and various subdisciplines of religious studies. Please find more information at the ContERN website, and Google group. The Network for the Study of Esotericism in Antiquity (NSEA) provides contact for specialists of ancient esoteric thought, history, and literature. While the ancient sources (Gnostic, theurgic, Neoplatonic, Hermetic, etc.) 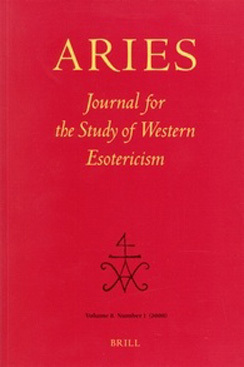 of Western Esotericism possess enormous importance for the development of esoteric currents from the fourteenth century onwards, there remains only a minimum of interaction between the antiquity experts and their (proto)-modern colleagues. The Network therefore is intended to introduce scholarship on ancient Esotericism to the rest of ESSWE, while also serves as a forum in which to exchange ideas, notes and references, etc. outside of other professional bodies which are not concerned with Esotericism per se, and to coordinate study and workshops with other working groups on the subject, such as the Society of Biblical Literature's Section on Esotericism and Mysticism in Antiquity. Finally, the NSEA website (ancientesotericism.org) provides an expansive portal with up-to-date information on the manifold scholarly resources the student of antiquity may access online, as well as relevant news about new publications, conferences, etc. The co-directors of NSEA are Dr. Dylan M. Burns (Leipzig) and Sarah Veale (University of Toronto). The European Network for the Study of Islam and Esotericism (ENSIE) aims to bridge the gap between the study of Islamic esotericism and mysticism and the study of Western Esotericism. It is hoped that scholars of Islamic mysticism will benefit from the understandings and perspectives that have been achieved in the study of Western Esotericism, and that scholars of Western Esotericism will benefit from knowledge of Islamic esotericism. Benefits are also expected in areas where the distinction between “Islamic” and “Western” does not really make sense, for example in the medieval period, when Western esotericists drew heavily on Arab and Islamic sources, and in the modern period, when Western esotericists have again drawn on Islamic sources, and when Western esotericism has also been received in the Muslim world, especially in Turkey, but also elsewhere. Membership is open to senior and junior scholars, and also to other interested persons, so long as at least 75% of active members are scholars. The ENSIE has a website at ensie.site and a blog at blog.ensie.site. The ENSIE is coordinated by Mark Sedgwick (Aarhus), mjrs@cas.au.dk. Email him if you wish to join the network. The ESSWE Student Network was designed to connect student members. It facilitates the building of relationships between students of Western Esotericism on an international level. The network also works to enhance professional development for student scholars and provides them with an opportunity to be mentored by more senior scholars. The primary goal of the network is to facilitate the organization of student activities, including the biennial thesis workshop, professional development activities, and the biennial conference. This will be done through maintaining an online presence. Please contact the student network coordinator with your ideas for student activities. Network coordinator: Manon Hedenborg White, student representative to the board of directors may be contacted at manon.hedenborg-white@teol.uu.se.